David was the youngest of the eight sons of Jesse. He became the second and greatest of the kings of Israel, a great warrior, a musician, an eloquent poet and prophet – as revealed in the Psalms – one of the most prominent figures in history and the king from whose descendants the Messiah would be said to come. His story is a story of someone who did seek to love, honour and obey His God. And when He fell he discovered not only that God was still there with Him but that the reality of God’s forgiveness was more than anyone could have imagined. David was a real person who met and responded to the reality of God in the reality of his life. He knew that his sins were forgiven, that his merits were God’s mercies and that his life was God’s gift. We can too if we will put our trust in God. Father God, wherever I am and whatever I am doing please help me to be aware of You and to trust completely in Your love and forgiveness. Amen. Fretwork is wood cut with a fretsaw into ornamental designs. Essentially it is cutting holes in a piece of wood. This is what fretting does to our faith – it cuts holes in it by wearing away and eroding it. Now to decide not to do something may be good, but not always helpful. It is rather like focussing on not thinking of the word hippopotamus for five minutes. Generally it cannot be done. A better way is to decide against something unhelpful in favour of something helpful. In other words, replace the bad with the good. When God tell us to avoid certain actions it is because they are unhelpful, unhealthy and often harmful to us or to others. They also take away our focus on, or involvement in, something better. Changing our actions and reactions takes intention, prayer and practice – helped enormously by the knowledge that the Holy Spirit is working within us to help us grow and develop. The initiative will have come from Him. If we are to grow in our relationship and life with God then we need to develop the habit of believing in His love and trusting Him. It is a part of the journey towards wholeness. That does not mean that He will always do everything the way that we would like Him to – but it does mean that He will never abandon or forget us. 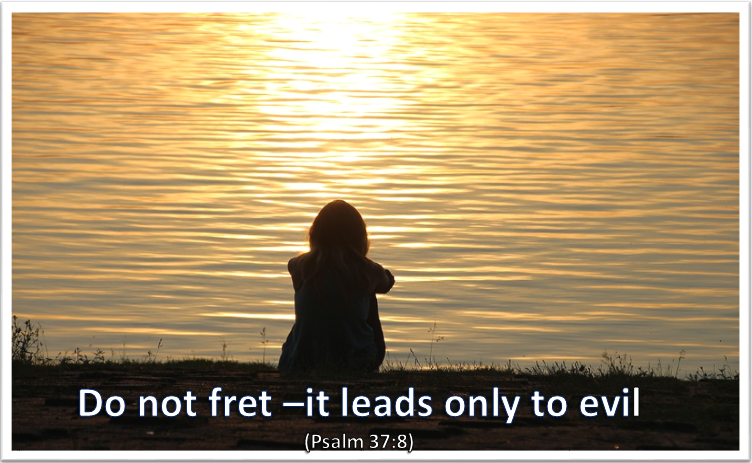 The opposite of fretting is a quiet trust in God – that whatever happens He will always be in control and will love us and carry us through to our eternal home with Him. Turn your fretting into meditation! Take a positive scripture and ‘worry’ it to get more and more from it. Father God, please forgive me when my feelings and expressions are negative. Help me to walk in the knowledge of Your presence and love for me. May that heal and influence my actions and feelings. Amen. The way things are today is not the way that they will be forever. There will be change. The closer that people are to God the better it will be. The further they move away from God the tougher it will be for everyone. There is a shaking going on in the world today. Within the churches, and in the world at large, things are happening. All of these seem designed to make people pause, realise their vulnerability and take stock of where they are and what they are about. Many things are beyond our control – but not beyond God. It is important that we keep our trust in Him. Lord help me to walk through every day trusting in Your presence and love – knowing that You will always be in control. Amen. When we commit our way to the Lord we effectively do two things. The first is that we allow Him to set the way – in other words the direction we will take and the road we will travel. The second is that we allow Him to determine the way in which it will unfold and the way in which we will respond. No matter where and how we are when we take that decision, or take it again, we are looking for God to lead us forward. This is exactly what Jesus did Himself. He taught that He only did what the Father showed Him and only spoke the words that the Father gave Him. There are always two options open to us. There is the way of the world, or my way, and the way of the Lord which is God’s way. We choose the one that we will follow. 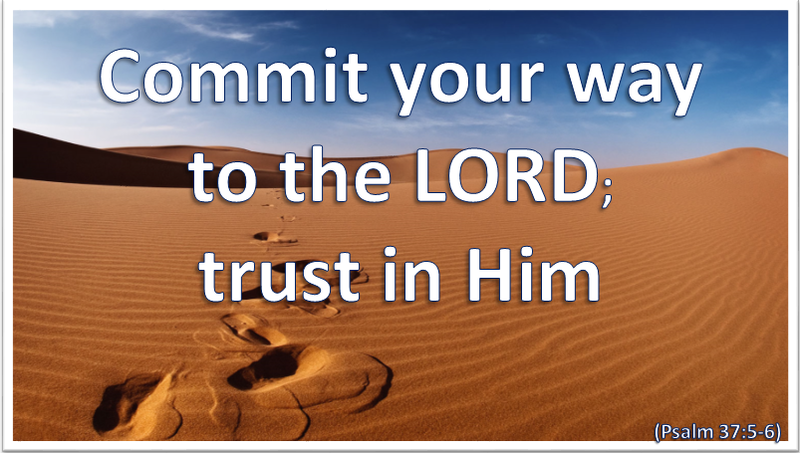 In committing our ‘way to the Lord’ we are choosing Him and His way over ourselves and our way. We acknowledge Him as Lord and, therefore, commit ourselves to following Him and doing whatever He calls us to. If we will commit ourselves to walking in the way of the Lord – in thought, word, deed and manner – then we can safely leave the outcome to Him. He will ensure that it falls in with His desires and plans and that we are blessed accordingly. Where we try and keep control and have Him walk with us and bless our ways, then we are heading for pain and disaster. In addition, and looking beyond the personal element, when we live His way we are joining with Jesus and His disciples in the establishment of the Kingdom of God. Where we do not we weaken and delay the process. Why miss out on the blessings of God by running our own lives? If we can trust His dying for us how much more can we trust His living for us? There is no choice for the Christian – we just fight it or embrace it. Start where you are, and try to give your life to God an hour at a time. Tell Him and yourself. Then work, drive, socialise and relate with Him in mind. Don’t look at others – look to yourself. 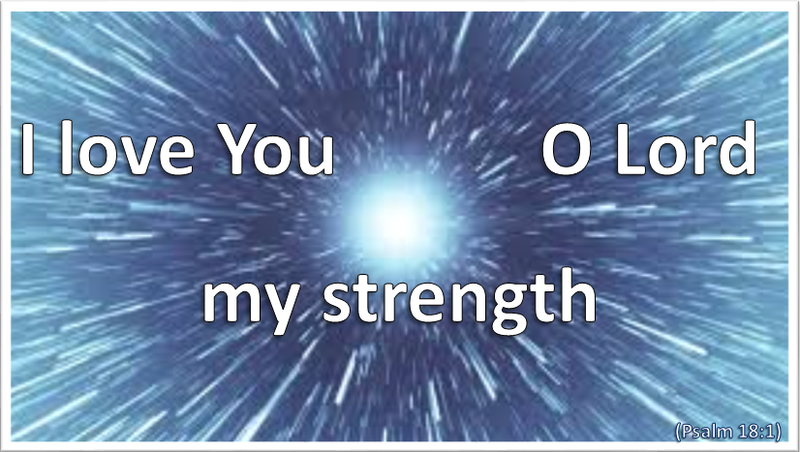 Father, You are God – all-powerful, all-knowing and of unsurpassable love. Please help me to acknowledge this in the way that I live – and help me to mean it when I pray, ‘Your will be done on earth (and in my life) as it is in heaven.’ Amen. The Lord never intended to be a distant monarch who, if humankind paid Him an acceptable homage, would leave them alone to do as they wished. He created us for an intimate relationship with Him, within which we could grow and develop. He wished to bless and prosper us from the abundance of His love and to receive from us the joy of our love and trust. It is from this background, and from his knowledge and experience of the Lord, that the Psalmist encourages us to make the Lord the primary focus of our thoughts and life – and to take delight, to get immense joy and satisfaction, in doing so. This is not merely to try and get what we want. It is because it is so worthwhile having God in that place in our lives. When He is we will learn just how special the relationship can be and how God does wish to bless us. Habakkuk had this in mind. Although all else could be lost God would always remain as our greatest treasure. God know all the longings of our hearts – the good desires, the unhealthy and unhelpful ones, and those that are just fun and normal. He will also be aware of which will fit in with His plans, which won’t and which will not influence them one way or another. Because He loves us we will find that He is even blessing us in ways that are purely personal – just as a father would look to delight his child by a special gift or opportunity. We do not love God and honour Him for what we can get out of Him. We love and delight in Him for Who He is and for what He is. As we do so we discover that, whatever else He might give to us, His love and His presence are all that we could desire and more than we might imagine. He will reveal them to us out of His love for us as individuals. We can trust Him in this. Seek more of Him through Scripture, prayer and looking at His creation. 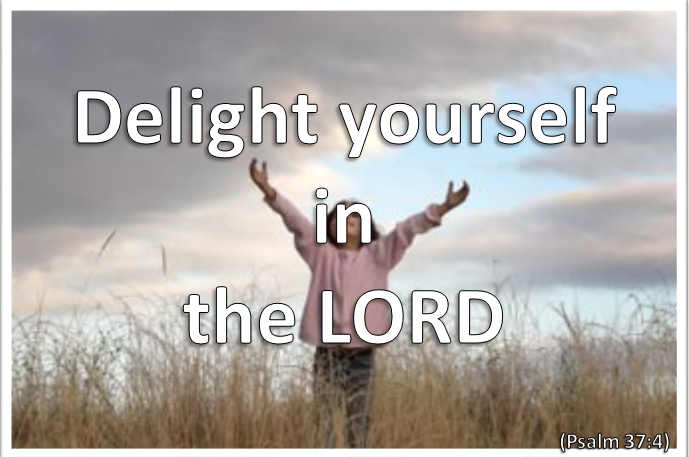 Father, I need help if I am going to delight in You like this. Please help me to know you better and to involve you in more of my life. Amen. The trust that God is talking of is a total and absolute trust in Him. As we learn and understand from Scripture it is a trust at a depth and height that we would not have imagined. It is only possible because of who He is, and because of His great and unchangeable love for us. Having acknowledged and accepted Jesus as Lord and Saviour, there is absolutely nothing, and no one, that can separate us from God. No matter what happens in our lives, or to our lives, our relationship with God, and our future with Him, is totally secure. He will be with us for every moment of this life, and will be with us through our passage into the next. It is a trust that, in all circumstances in which we find ourselves, God is in control. Whether or not He changes the situation He will be with us and will bring us through. When we fall He will be there to help us up. When we sin He will be there offering us a way out, and waiting to forgive us when we repent and ask Him. When we are hurt or sick He will be with us to comfort and strengthen us. When we feel rejected, lonely, humiliated and in despair He will be with us to love, comfort and re-assure us. He is certainly able to change any of our circumstances, but He is just as able to change us in the circumstances. Having been saved by grace we do not remain saved through our work of keeping the law. It is God’s grace from start to finish. Our response is faith and trust in Him. Yes this faith must lead us into obedience – which is also a sign of our faith. But from start to finish we are ‘saved by grace through faith.’ This is not a licence to go on sinning -that is an insult. However there may be areas in our lives where we find it impossible to bring change through our own efforts. These should not drive us away from God, but instead send us back to Him again and again and again, until His love and power at work in our lives prevails and He sets us free! It is this trust that enables us, in any situation in which we might find ourselves, to avoid becoming totally self-absorbed, and to remember others. It is Jesus on the Cross – forgiving His persecutors, giving salvation to the thief next to Him, remembering the needs of His mother. 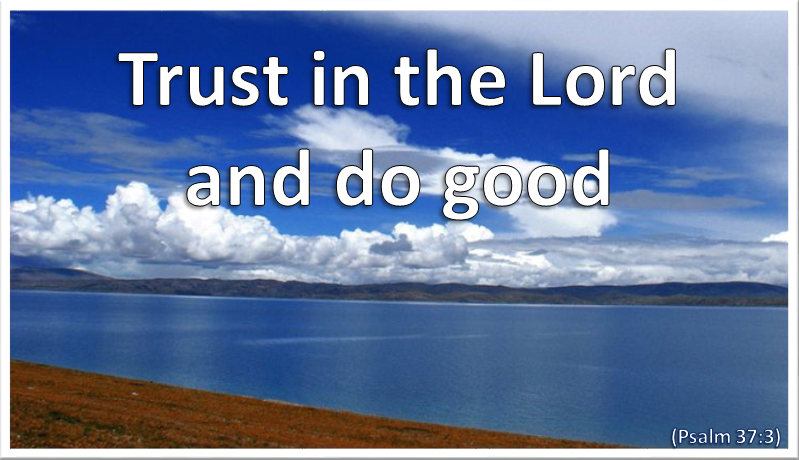 Total and unshakeable Trust in God. Father God, Thank You so much for Your wonderful love and commitment. Please help me to believe and trust in You more and more every day – and in all situations. In Jesus name. Amen. God had prophesied that He would tend His sheep Himself. Jesus is the fulfilment of that word. He explains the character of the good shepherd by adding that He lays down His life for the sheep. That means that His full focus is on the sheep, He is totally committed to their well-being and protection and He would die rather than let anyone steal a sheep from Him. The term ‘good’ also contains within it a quality that is lovely and wonderfully attractive to others. It has been described as the ‘beauty of holiness.’ Without a doubt people who were aware of the lack of beauty in their own lives were strongly attracted to Jesus and sought Him out. He never repulsed them, but acknowledged them and reached out to them. 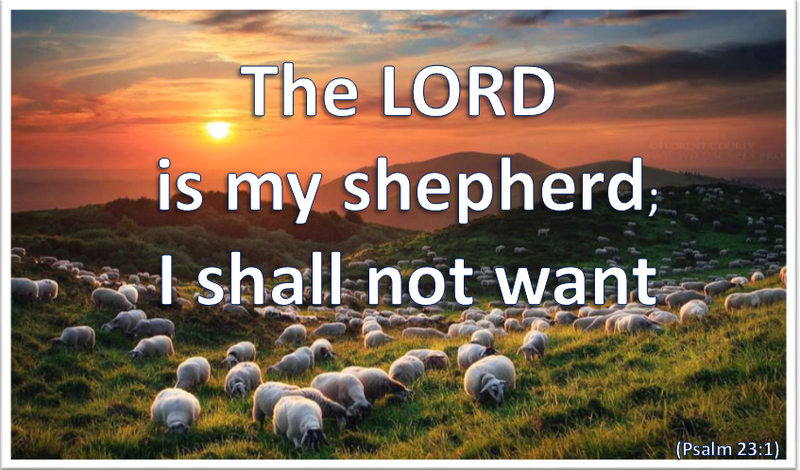 Jesus emphasised the importance of the shepherd’s relationship with the sheep. He said that His sheep ‘listen to His voice.’ Therefore He speaks to them, and He does so enough for them to recognise His voice and hear what He is saying. He tells us that He calls His sheep by name. That means that He knows each one individually and not merely as a part of a crowd or flock. When He says that His ‘sheep follow Him’ it tells us that He is always moving on ahead of His sheep and knows every detail of the situations in which they will find themselves. As the Psalmist tells us there will be times when we are in ‘green pastures’ and besides ‘still waters’. There may also be times when our road leads through shadowy valleys and dark times. However he assures us that the Lord is with us in all these places and that He will bring us safely home. Jesus is not telling a pretty story but describing a reality that we can know and experience. We do well to take it, think it through and apply its truth in our own lives. If we practice talking to Him and listening for Him in our Bible reading, prayers and daily journeys we will begin to know His presence and voice in many ways. 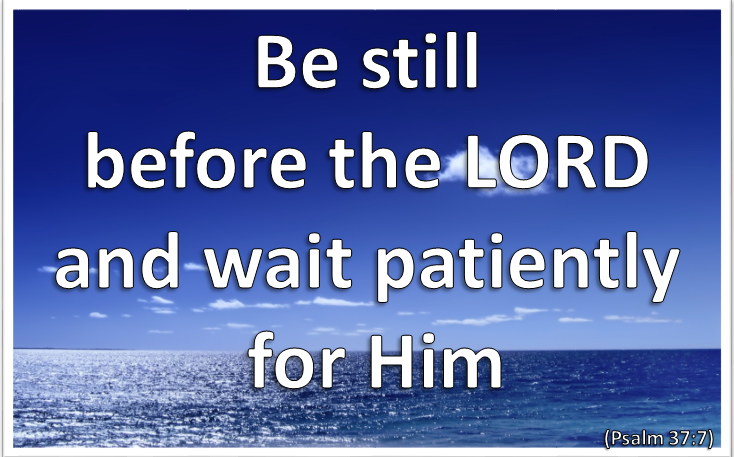 Remind yourself every day that the Lord is with you personally and waiting to encourage, guide and help you. Lord Jesus, please help me to listen for Your voice in Scripture and through the day –and to respond to what You say to me. Amen.